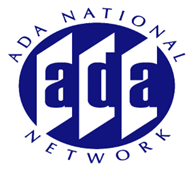 Accessible fire alarm systems are required where systems provide audible coverage under the ADA and the ABA. These systems are required to comply with NFPA (National Fire Protection Association) 72. A representative from NFPA will provide an overview of the requirements contained in NRPA 72 including specific criteria for visible alarms such as flash frequency, color, intensity, placement, and synchronization.